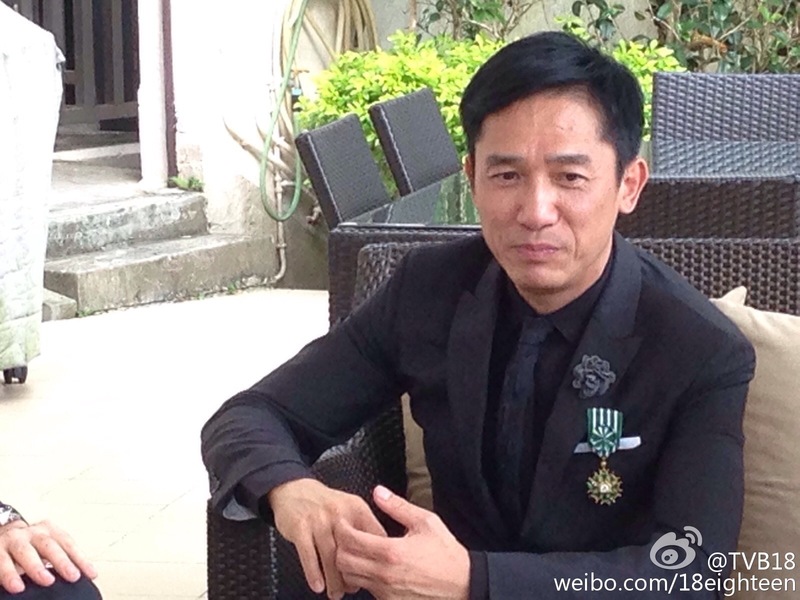 To his long list of accolades, Hong Kong actor Tony Leung is adding one with French flavor. 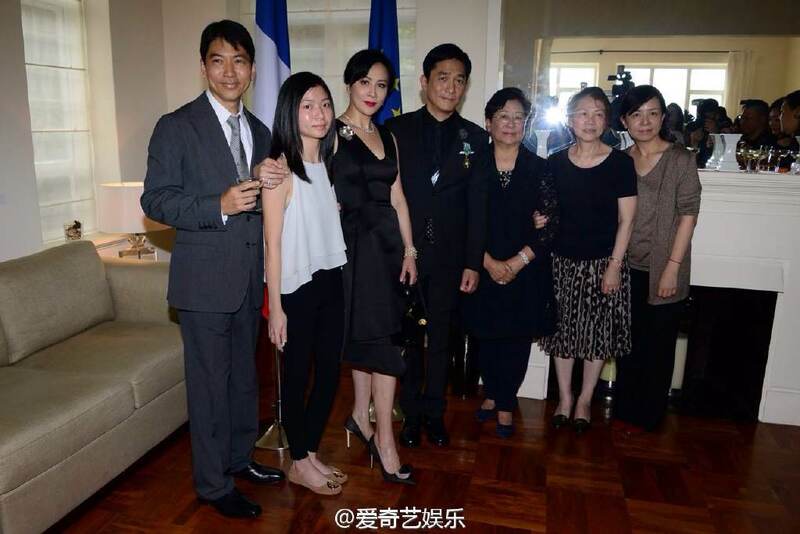 France's consul general made the 52-year-old actor an "Officer of the Order of Arts and Letters" at a ceremony Monday attended by Leung's wife Carina Lau and his friends including director Wong Kar-wai. 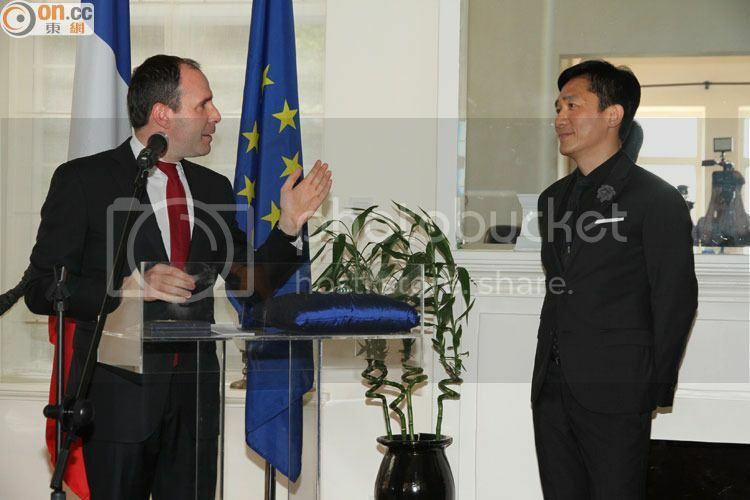 Consul General Arnaud Barthelemy praised Leung for his achievements in acting and thanked him for bringing together the cultures of France and Hong Kong. 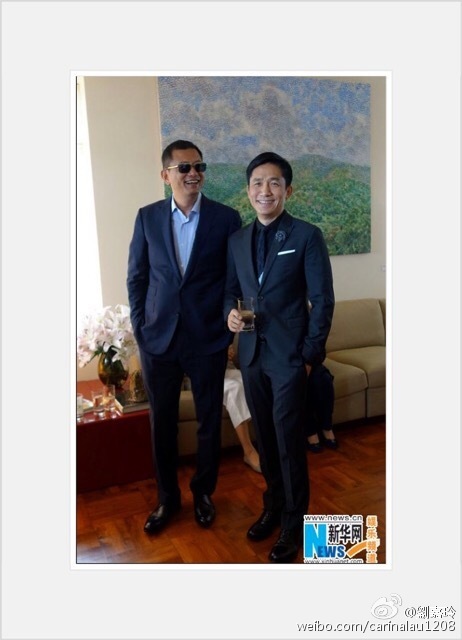 Leung said he wanted to share the honor because he didn't make his films alone. 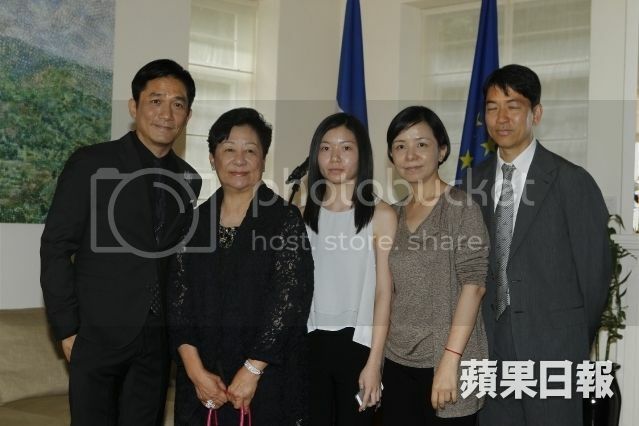 "I think this honor should be shared with all those who have worked with me in films for the last 30 years," Leung said. 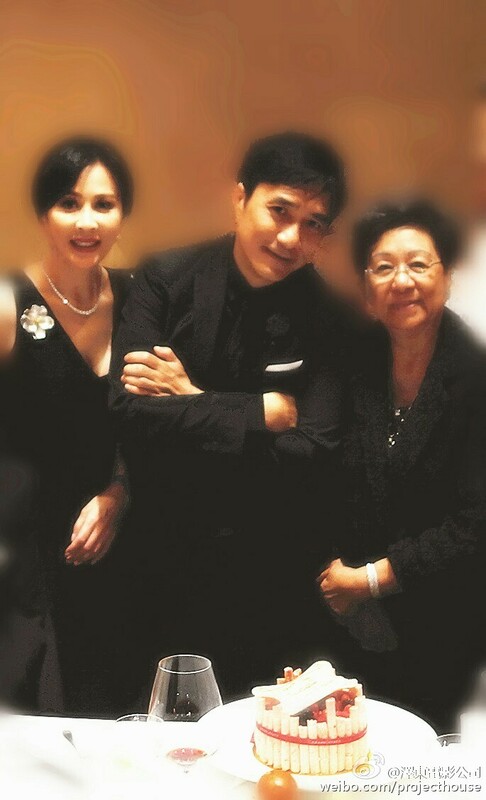 Tony Leung Chiu-wai is considered one of Hong Kong's finest actors, especially in his collaborations with Wong such as "Ashes of Time," ''Chungking Express" and "In the Mood for Love." That role won him a best actor award at the Cannes Film Festival. Their last film, the kung fu epic "The Grandmaster," was a critical and commercial success. 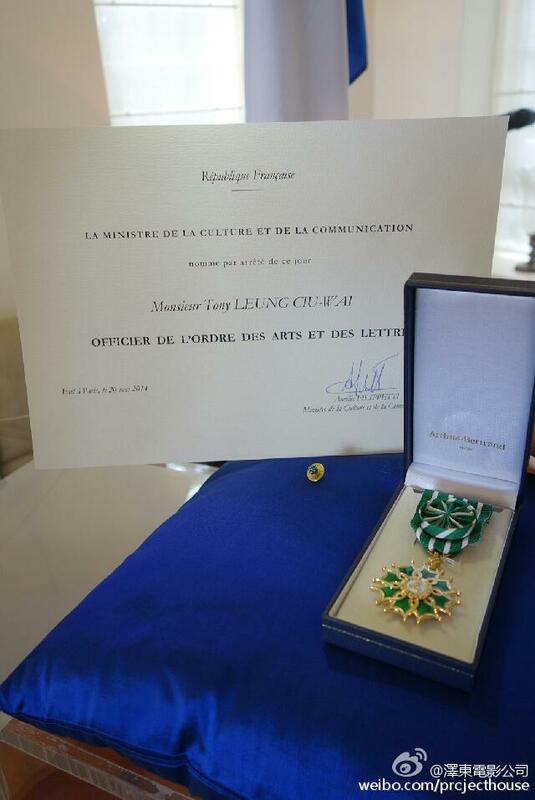 France made Wong a "Commander of the Order of Arts and Letters" in 2013. 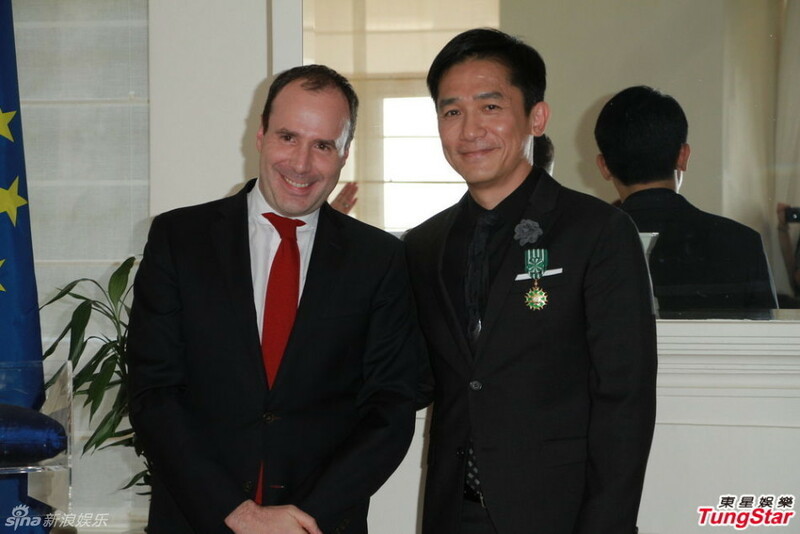 L'acteur hongkongais Tony Leung, prix d'interprétation à Cannes en 2000 pour son rôle dans "In the mood for love", a été élevé lundi à Hong Kong par la France au grade d'officier dans l'Ordre des Arts et des Lettres. 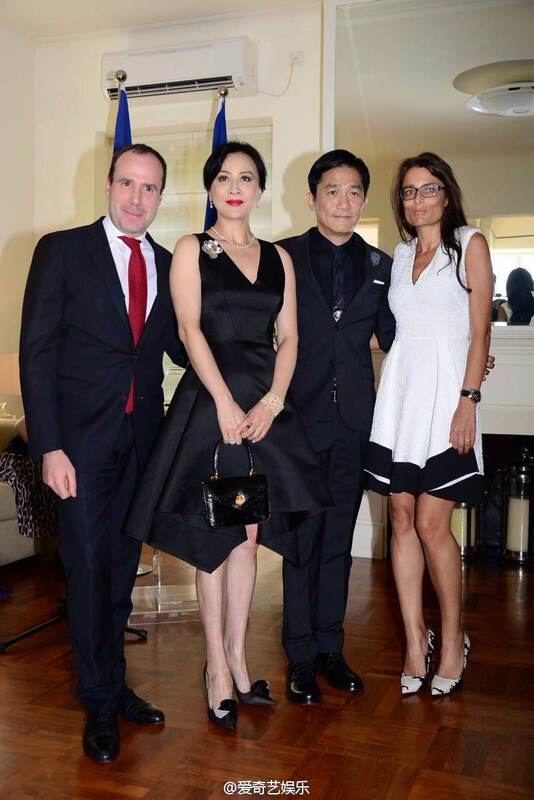 Le consul général de France à Hong Kong, Arnaud Barthélémy, lui a remis la médaille au cours d'une cérémonie à la résidence française en présence de son épouse, l'actrice Carina Lau, et du cinéaste Wong Kar-Wai. Outre "In the mood for love", Tony Leung et Wong Kar-Wai ont tourné ensemble une demi-douzaine de films dont "Nos années sauvages" et "Chungking Express". 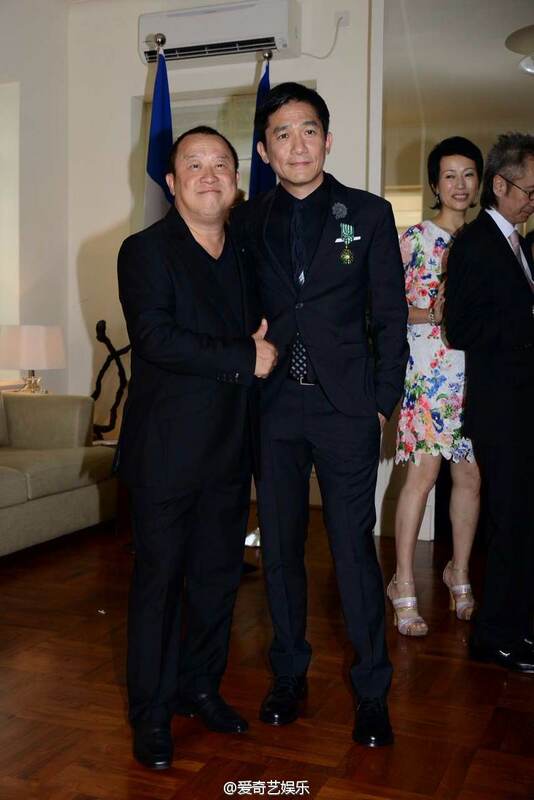 Leung, 52 ans, a également tourné avec John Woo, Johnnie To et Ang Lee. "Cette récompense rejaillit sur les films auxquels j'ai participé. Je veux la partager avec les cinéastes qui me font confiance depuis 30 ans", a déclaré l'acteur en rendant un hommage appuyé à "son compagnon de longue date Wong Kar-Wai". 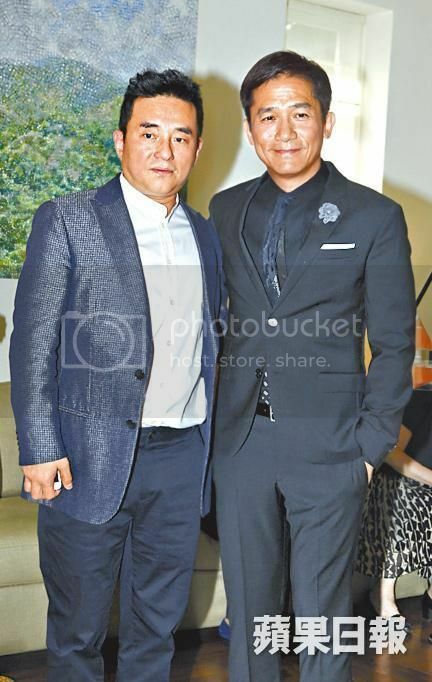 De son vrai nom Tony Leung Chu-wai, il a forcé l'admiration de ses pairs hollywoodiens avec son physique de séducteur et ses rôles graves qui lui valent le surnom de "Clark Gable d'Asie". 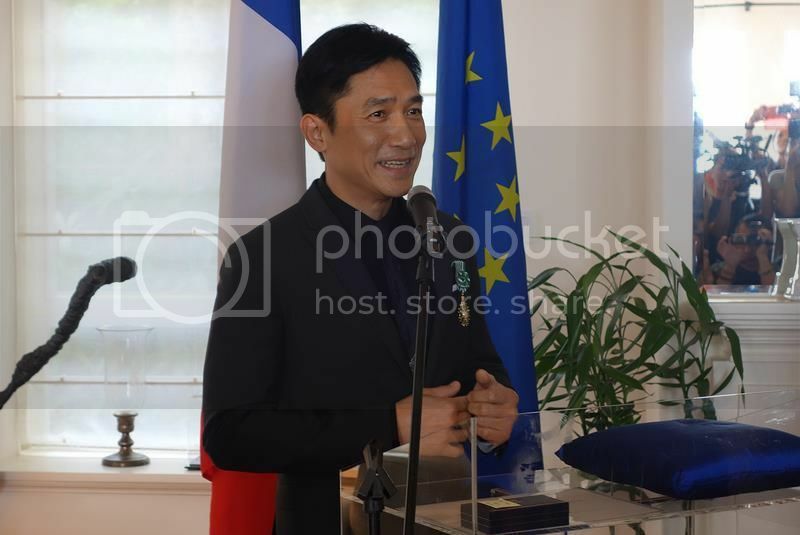 La France a élevé lundi l'acteur hongkongais Tony Leung au grade d'officier dans l'Ordre des Arts et des Lettres. Le comédien avait obtenu le prix d'interprétation à Cannes en 2000 pour son rôle dans "In the mood for love". "Cette récompense rejaillit sur les films auxquels j'ai participé. 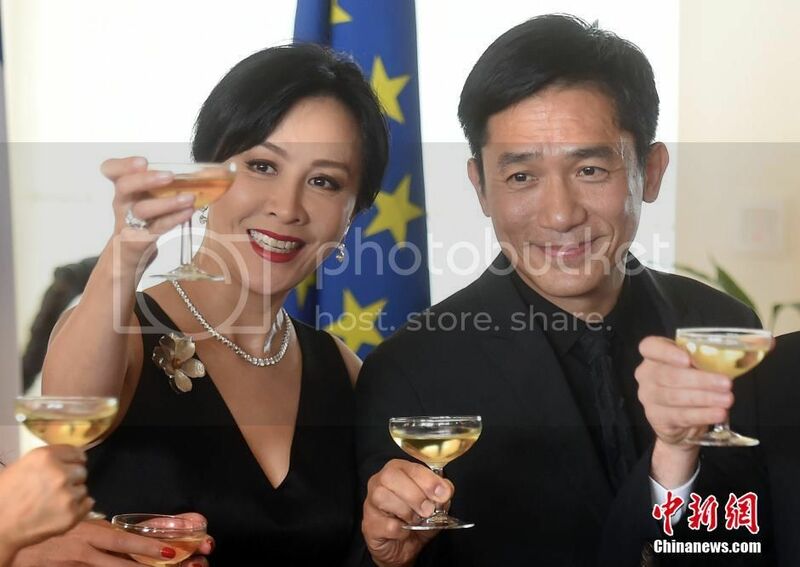 Je veux la partager avec les cinéastes qui me font confiance depuis 30 ans", a déclaré l'acteur, qui a reçu sa médaille lors d'une cérémonie à la résidence française à Hong Kong. 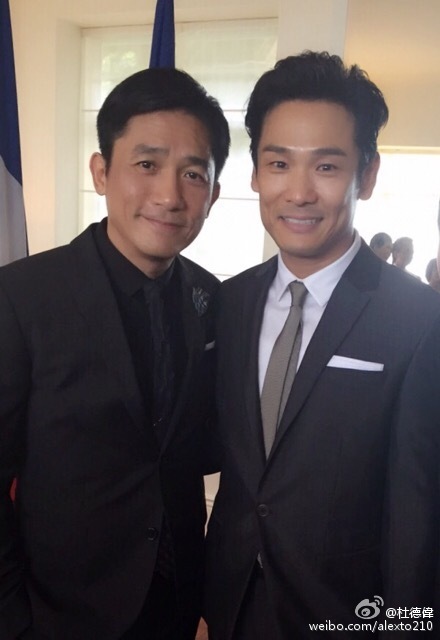 Tony Leung a rendu un hommage appuyé à "son compagnon de longue date Wong Kar-Wai", présent dans l'assistance. Outre "In the mood for love", les deux hommes ont tourné ensemble une demi-douzaine de films dont "Nos années sauvages" et "Chungking Express". 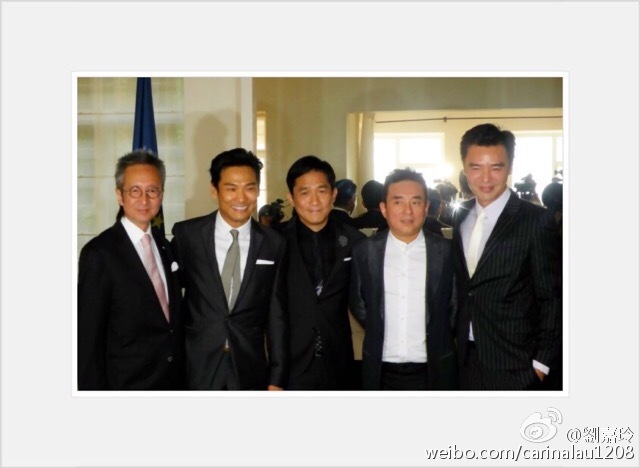 Leung, 52 ans, a également tourné avec John Woo, Johnnie To et Ang Lee. 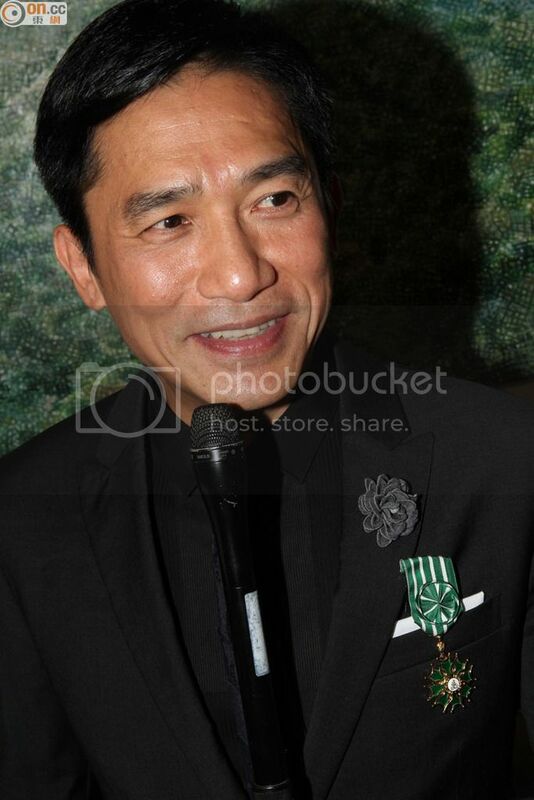 Not related to the Tony Awards, but Tony Leung certainly deserves one. 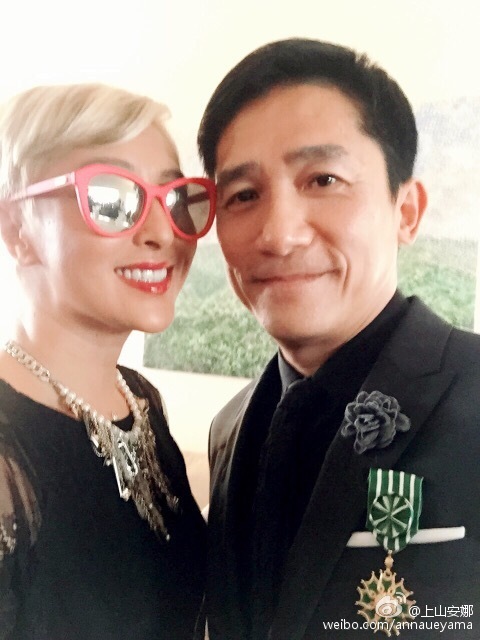 The Hong Kong actor has a long list of accolades from an acting career that spanned over three decades, and now he can add one more to the stash. 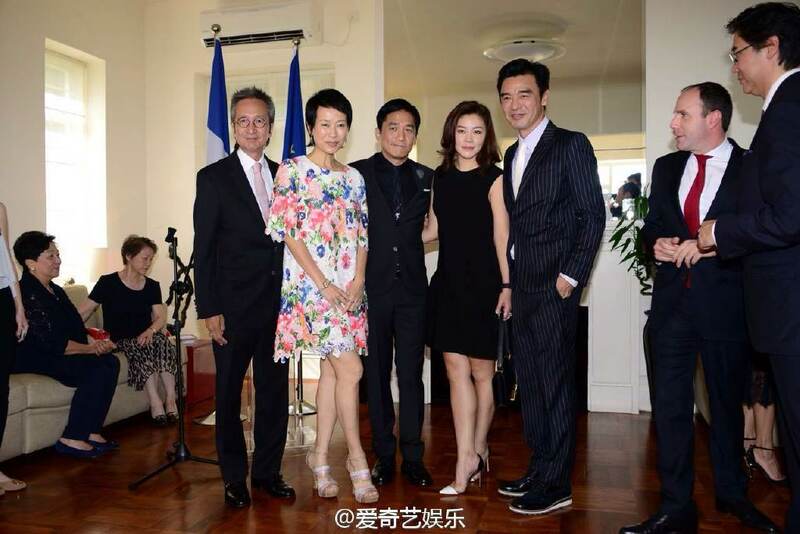 The A-lister received a top honor from France in Hong Kong Monday. 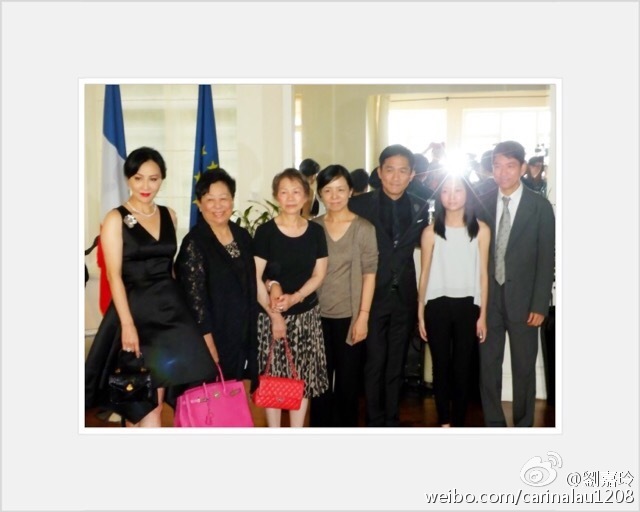 The 52-year old thespian was made "Officer of the Order of Arts and Letters" by the Consul General of France. 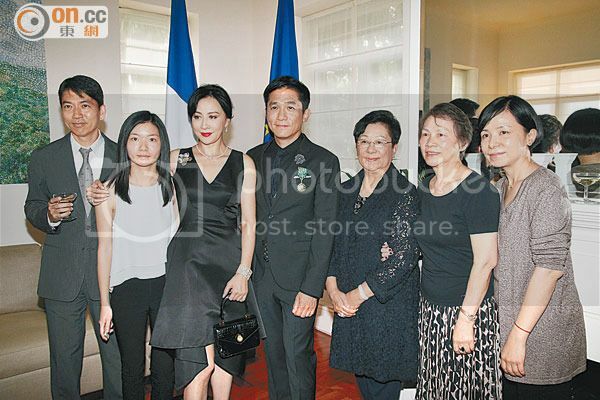 Leung was accompanied by his actress wife Carina Lau, family members and a group of close friends as he attended the award ceremony at the residence of the Consul General, Arnaud Barthelemy. 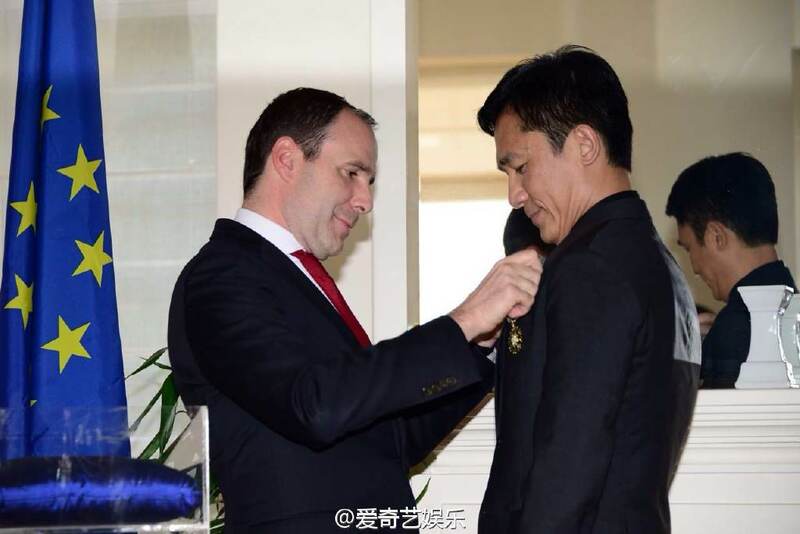 Barthelemy praised Leung for his exceptional achievement in acting and thanked him for his contribution towards the cultural exchanges between France and Hong Kong, before pinning the medal on Leung. 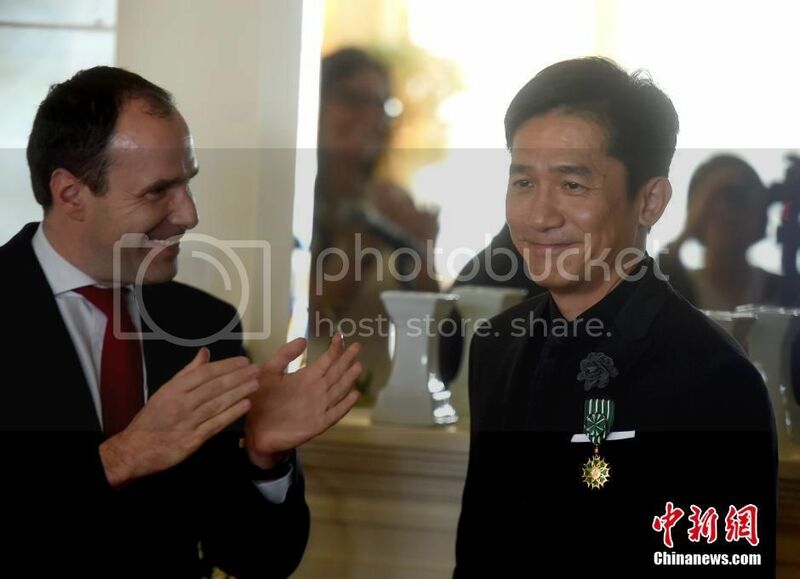 After accepting his medal, Leung said that he wanted to share his honor with his wife, family and all those who worked with him on his films. 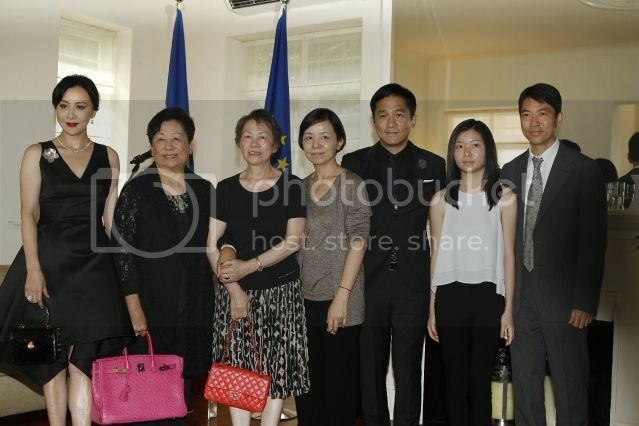 Leung said:"I don't think that this honor belongs only to me. I think it's a recognition to all the Hong Kong films that I made before. However, I couldn't have made the movies all by myself. I think this honor should be shared with all those who have worked with me in films for the last 30 years." 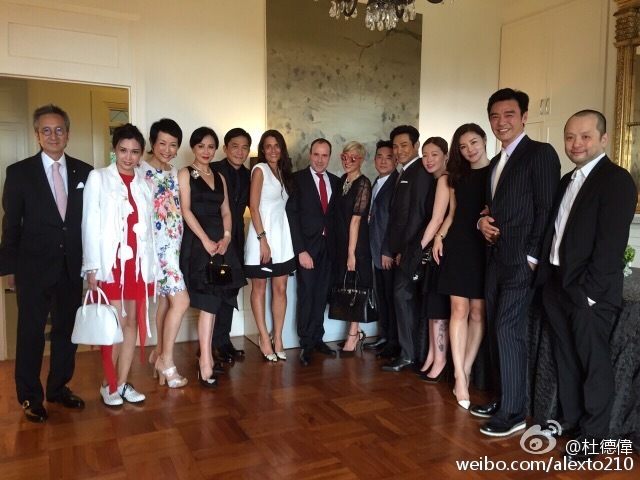 His wife, actress Carina Lau, couldn't have been more proud. "I'm not saying this because I'm his wife. 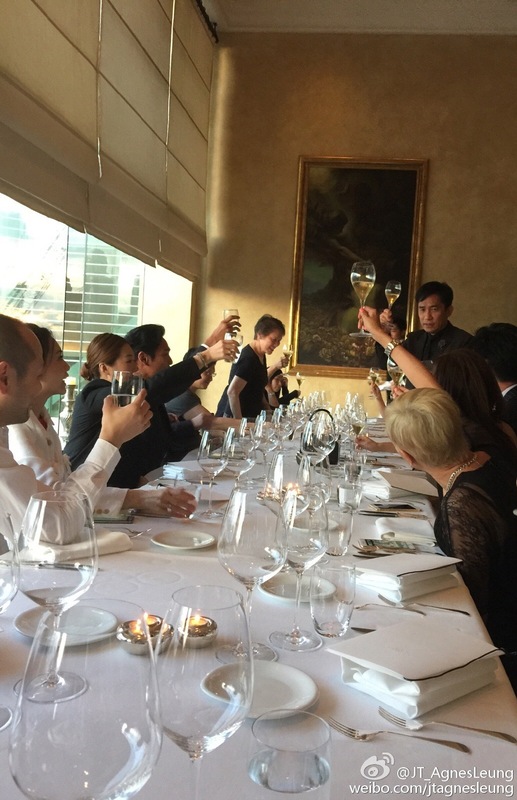 I think this is something for the people of Hong Kong to be proud of. Hong Kong has an extraordinary actor and he's so low key. 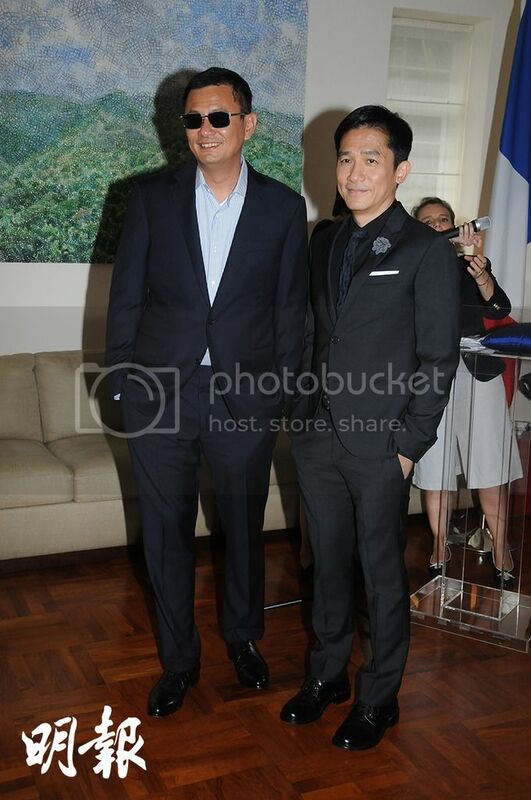 He has made a huge contribution towards the exchanges between the art communities of Hong Kong and France," said Lau. 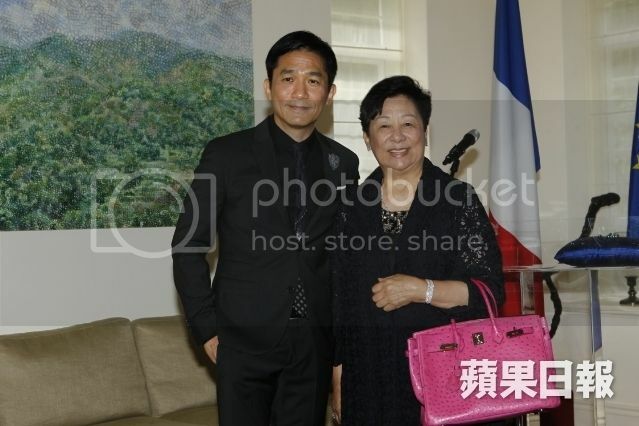 Tony Leung Chiu-wai is one of Hong Kong's finest actors, especially in his collaborations with director Wong Kar-wai such as "Ashes of Time", "Chungking Express" and "In the Mood for Love". 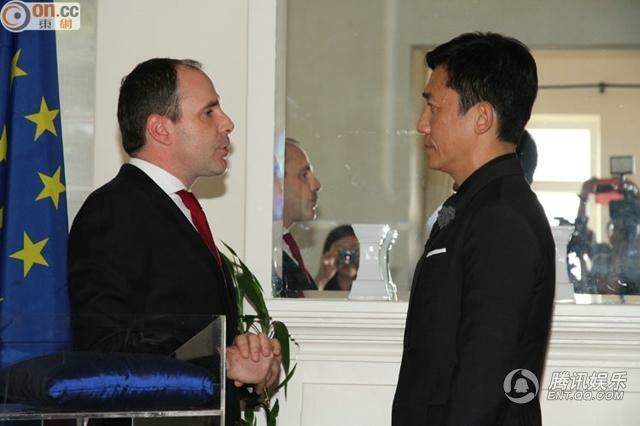 Their last film, the Kung Fu epic film "The Grandmaster" was critically acclaimed and a box office hit.